Growing up in a real estate family, I have learned the commitment and honesty it takes to be successful in real estate. After 3 years in the teaching profession I have been given the opportunity to move home to Beatrice and join my dad (John Zarybnicky) and brother (Michael Zarybnicky) at Homestead Land Company. I have grown up surrounded by farming and have lived my entire life in the area. My wife Casey and I recently purchased our first home here in Beatrice. I hold my Nebraska Real Estate License and would be more than happy to show you around my hometown. 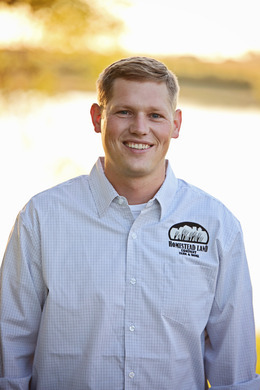 If you are looking to buy or sell agriculture, residential, or commercial property give me Craig Zarybnicky a call or text at (402) 520-0650.